Welcome Home! 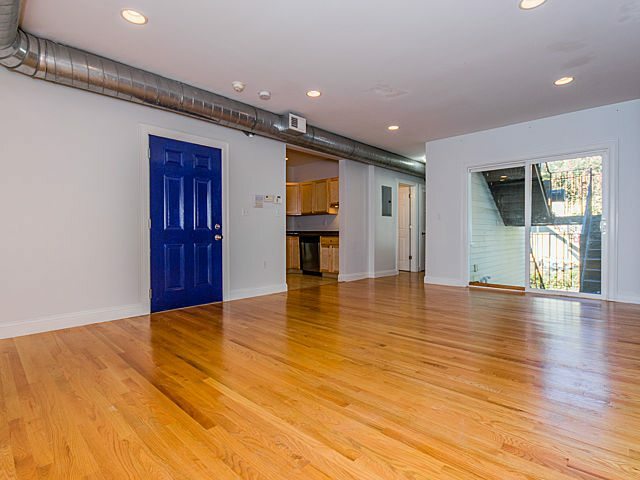 This renovated 2 Bedroom 2 bath has it all! Located in the historic Eagle Hill Section of East Boston, it is convenient to all Major highways, the MBTA station, The Public Library, as well as all of the the many shops and restaurants in the area. This unit Features an open Floor Plan that is perfect for entertaining. It features a Large Open Livingroom/Diningroom with direct access Deck! Other amenities include gleaming hardwood floors, Exposed Brick, Central Air Conditioning, in unit Laundry, as well as a renovated kitchen with Granite Counters Tops and Stainless Steel Appliances! The Large Master Bedroom Features a spacious en Suite Master Bath! Additional Storage is located in the Basement. First showings to take place on Sunday October 25th from 12:00 – 1:00 PM. Do not miss this opportunity!